The other day we received an inquiry from ‘Margaret M’ regarding the affordability of fluoride removal systems for home use. Seems like every other day we get question about fluoride in drinking water, but we don’t mind. 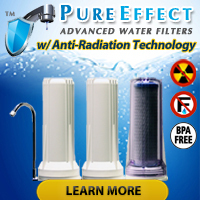 The more questions we get, the more interest in fluoride we know people have. Although we have not, yet, decided for ourselves how we feel about the fluoridation of public water supplies, we do know that many people have already taken sides and line have already gotten drawn in the sand. One one hand, some folks believe fluoridation of public water supplies has greatly helped the general public by making teeth more resistant to cavities and decay. On the other hand, with all the other sources of fluoride (i.e. dietary supplements, fluoride toothpaste, etc.) in the general public’s diet these days, some people have unknowingly received potentially unhealthy amounts of exposure to fluoride… and technically, fluoride counts as a toxic compound. Quite honestly, we guess that the information on About.Com got posted a number of years ago when reverse osmosis water filtration systems did cost a small fortune — but those days have come and gone. Nowadays the average homeowner can pick up an NSF/ANSI Certified point-of-use reverse osmosis water treatment for under $300. As an example, the Pentek RO-3500 bears the NSF Mark (NSF/ANSI STANDARD 058) for its reduction of Arsenic (Pentavalent), Barium, Cadmium, Copper, Chromium (Hexavalent), Chromium (Trivalent), Cyst, Fluoride, Lead, Nitrate/Nitrite, Radium 226/228, Selenium, TDS, and Turbidity. It also bears a second NSF Mark (NSF/ANSI STANDARD 042) for reduction of taste, odor and chlorine. 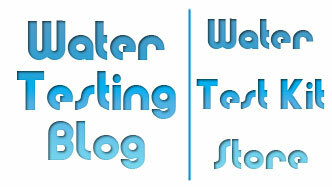 The first step towards choosing a water filter system? Get your water tested by a certified water testing laboratory such as National Testing Laboratories to see what, if any, unwanted drinking water contaminants your water contains.